Note: A minimum quantity of 91 must be ordered, and in units of 1 thereafter. 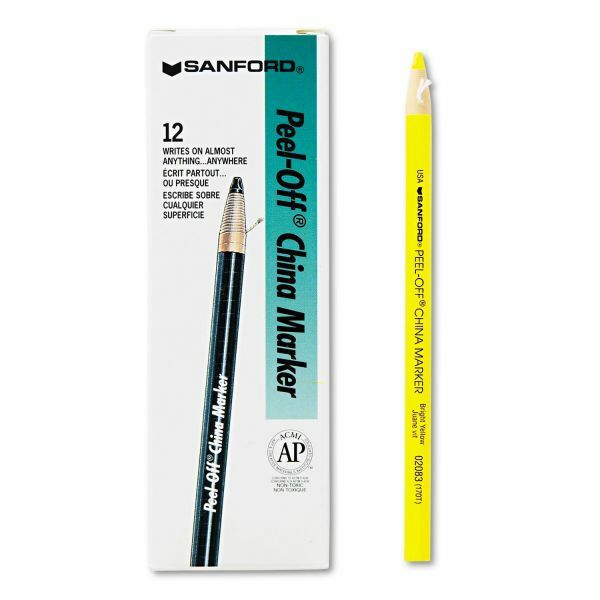 Sharpie Peel-Off China Markers, Yellow, Dozen - Peel-off China Marker works on metal, glass, china or any polished surface and resists fading. Features high dynamic strength and improved resistant to moisture. 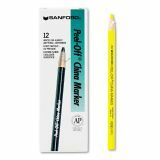 Writes with 3/16 diameter lead. To sharpen, just pull the string. Certified AP nontoxic."